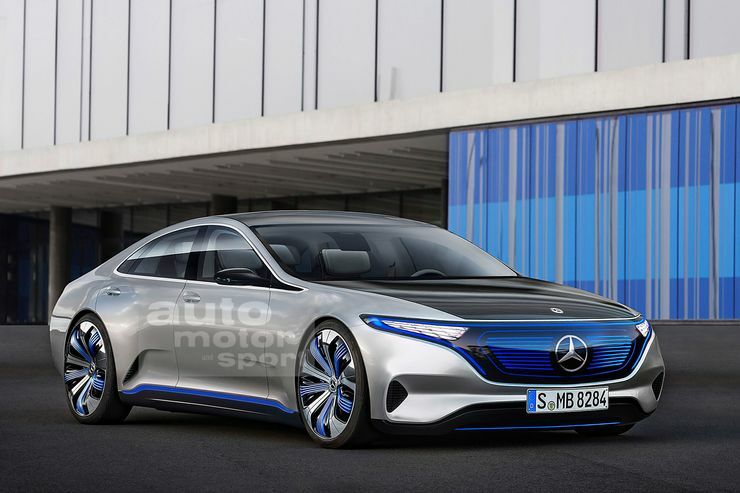 Mercedes-Benz plans a large sedan for its future range of electric EQ models. The Mercedes-Benz EQS will a zero-emission equivalent of the top of the line S-Class. FIRST SPY PICTURES. Although we expected a model of this type, given the history of the Stuttgart firm, until now we had not seen any signs of its existence. 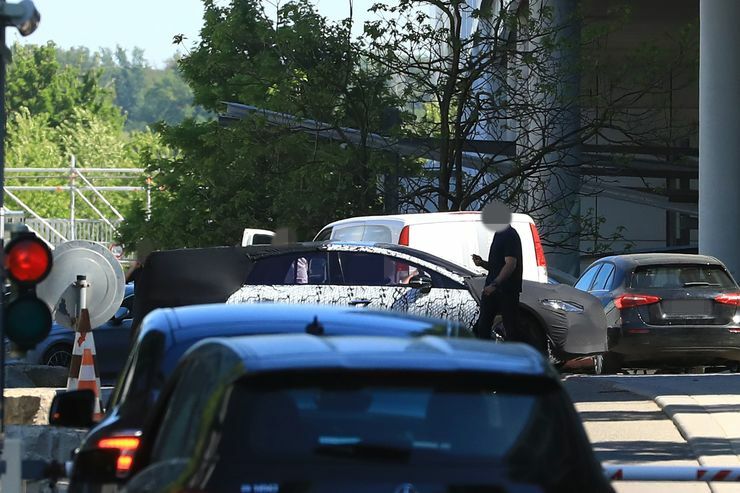 Not much is revealed by the spy pics, except the long wheelbase and the slender silhouette of the EQS which mimics a four-door coupe. We can expect the EQS to carry the same illuminated highlights and digital grille styling from the EQA and EQC concepts. Mercedes-Benz will introduce the EQS all-electric luxury sedan in 2020, which should become the flagship of the new EQ series, although the name for the moment is only theoretical, given its position in the brand’s catalog. The sedan belongs to the segment of the S-Class, but is not just an electrified version of it. 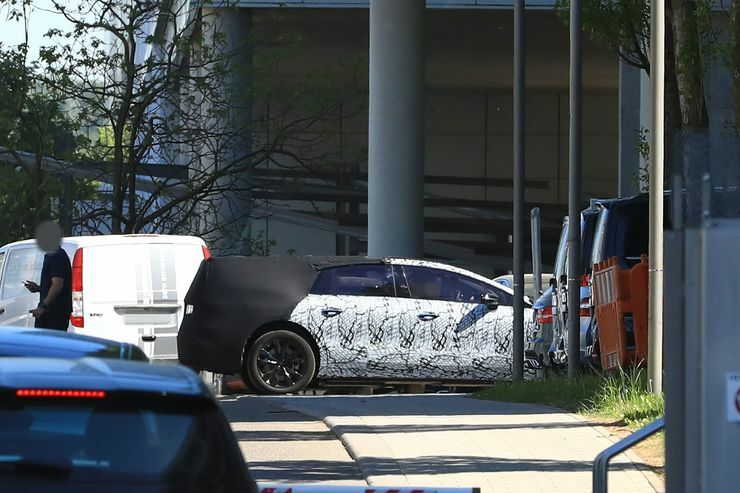 So the future S-Class, which will also arrive in 2020, as the new EQS, will not be related at the technical level and will be very different models, although the S-Class may have future hybrid versions. While the new electric sedan will be based on the MEA platform (modular electric architecture) for vehicles with pure electric propulsion systems, the next generation of the S-Class will be based on the MRA platform for rear-wheel drive models. In the EQS Mercedes plays the benefits of the electric drive: the electric motors sit on the axles, the batteries in the vehicle floor. Together with a long wheelbase and short overhangs, this gives more space in the interior. The production vehicle is due to roll off the production line in Sindelfingen in two years’ time and could have a range of up to 500 kilometers. The power of the drive is scalable. Until then, the first electric model of the brand that will hit the market will be the production variant of the Mercedes EQC Concept, the crossover unveiled at the 2016 Paris Motor Show and which will debut in production form next year. 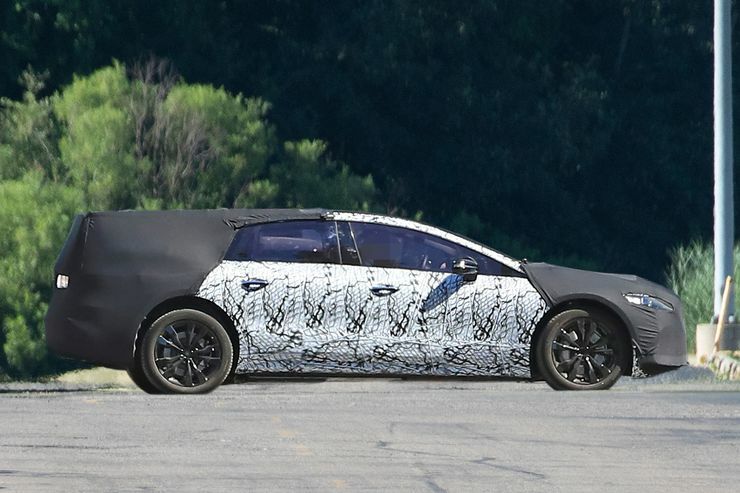 This will be only the first of a series of 10 models that the brand intends to launch in multiple segments, all of them with the same electrical mechanical base. By 2022, Mercedes wants to have at least 20 electrified models in its portfolio, including ten pure electric cars. Incidentally, Mercedes already secured the rights to the names EQA, EQC, EQE, EQG and EQS for the new models in several countries.